The latest design show at MoMA features something that we can’t live without. You’d never think that @ was a design invention, but it was created in 1971 by Ray Tomlinson, the inventor of the first email system in the United States. The @ made it into MoMA’s design collection and stars there in the show, Born Out of Necessity. Tomlinson developed it for ARPAnet, because he thought it would be more efficient than using arcane programming language to tell data messages where to go. MoMA says that there’s not a lot agreement as @’s genesis – some say it goes back to the 6th century (from Latin scribes). Others say it’s from the 16th century (Venetian abbreviation for the “amphora” measurement unit), or Norman French (for “each at” a particular price). Whatever. 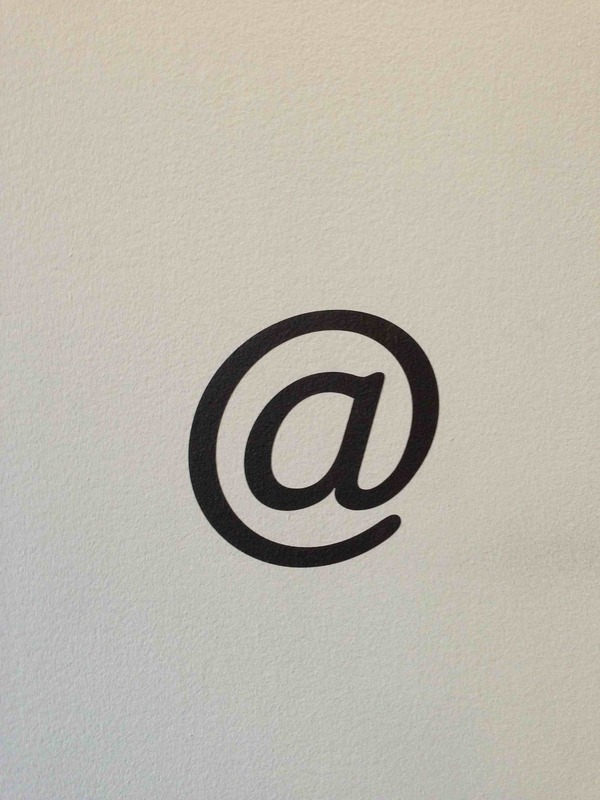 The little symbol began appearing on typewriter keyboards in the 19th century, so it eventually migrated to our computer and iPad keyboards, and that’s where Tomlinson got ahold of it. History was made. Another design star in the show came from the military budget, too — a Utility ¼-Ton 4 X 4 Jeep. 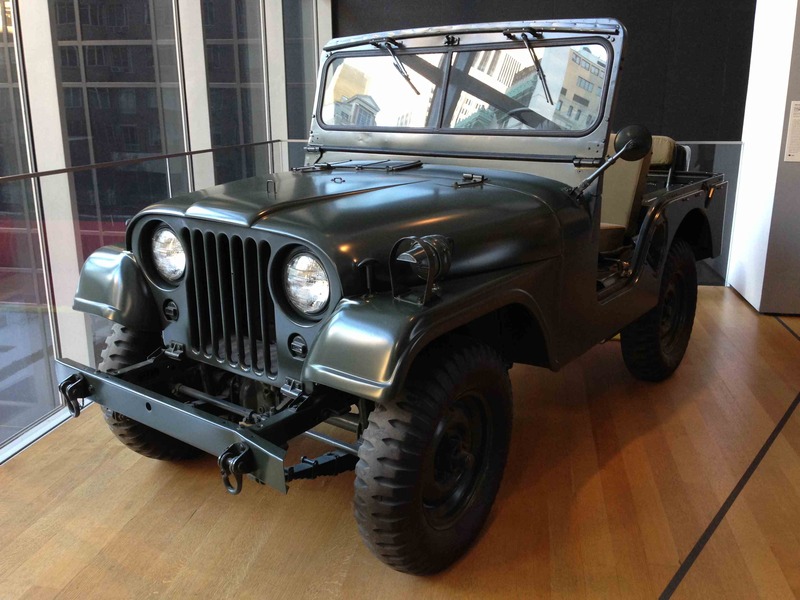 You may be surprised to know that Jeeps and MoMA go way back to 1951, when they included one in a design exhibit. Quick assembly, fast part-swapping, and portability (when disassembled) for transport made it a design winner. Although this Jeep is from 1952 (just light modifications over the previous model), MoMA says it’s the best military Jeep ever built anywhere. The show includes an array of other interesting design innovations triggered by need – like Oxo’s Good Grip handles on kitchen items, new-fangled inflatable life rafts that don’t tip in high waves, collapsible wheelchairs, and hand-cranked radios (originally designed for the Third World, but just as useful here during blackouts and hurricanes). The show closes today, but the @ and the other stuff will be with us for a long, long time. This entry was posted in History, Museums, Social Media, Technology and tagged culture, design, history, museums, social media by mssusanb. Bookmark the permalink.